This years CES (Consumer Electronics Show) in Vegas was as usual a pretty wild ride. We got to see some really awesome new technologies and amazing products. Two Razer prototypes were even stolen. Certainly an interesting CES. These are some noteworthy connected gadgets from this years CES. 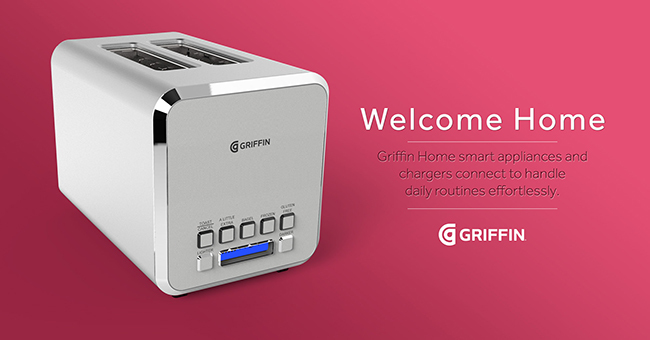 I’ll just start things of lightly with Griffins ‘smart toaster’. This is pretty much the essence of IoT, connect everything to the internet, automate everything. Now how useful a smart toaster will actually be is debatable. But this is the future we are looking at, which naturally makes security concerns evermore important. But what can a smart toaster actually do? Well, it can toast bread.. But it can automate the process apparently.. The smart toaster retails for about $100. Yes, really, there is something more silly than the toaster. The vibrating sensors in the waistband of the “Essential Vibrating Connected Jeans” by Spinali design connect to your smartphone via Bluetooth and vibrate on the left or right side to give you directions. The smart pants go for about $100. Believe it or not, this is also part of the future we will come to know. Technology will exist inside everything we use, and it could turn out pretty cool. The company also sell other clothing items and accessories, including connected dresses, bags and bikinis. They also plan to integrate security alerts, home support, and geolocation of your children. Getting old is going to be so much cooler in the future. The idea of the smart cane is to monitor movement, sending alerts over phone, text message or email to caregivers in case of a fall. The caregiver can then signal to the cane user that help is on the way. But I’m sure that the concept of smart canes will evolve quickly into more entertaining things, like haptic feedback, bluetooth connectivity, etc. Personal assistants like Alexa, Google Assistant, Siri, and even Jarvis are going to be an integral part of our lives. While some people just find these assitants a nuissance, they are gaining in popularity once again. It would seem from the tech trends at the CES that voice control and personal assistants will be able to control just about everything in our lives. This connected camera has a very specific purpose. You put it in the fridge and it analyses your ingredients, telling you what options you have for cooking dinner. Which I think is pretty freaking cool. And certainly more useful than an automatic toaster. 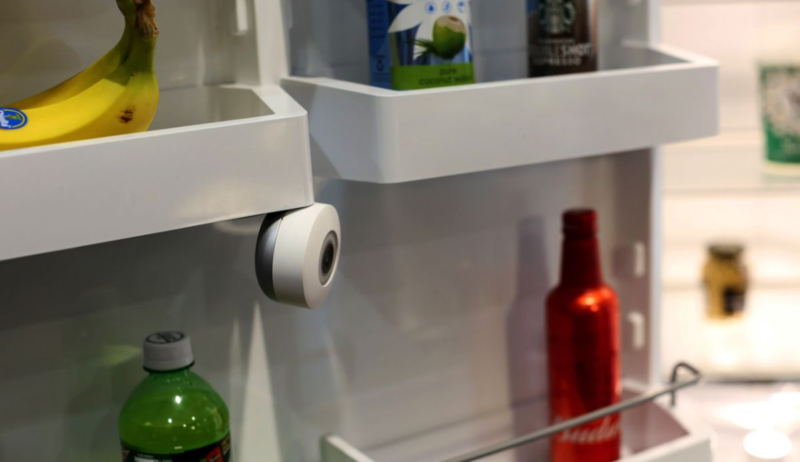 The FridgeCam can also analyse barcodes on your products to keep track of when things expire, or when you need a refill. Items without barcodes can also be entered manually. It’ll be available for $149.99 when it’s released later this year. Other IoT gadgets announced at the CES include a smart breast pump, smart toothbrush, and a mirror that tells you how to improve your facial hygiene.